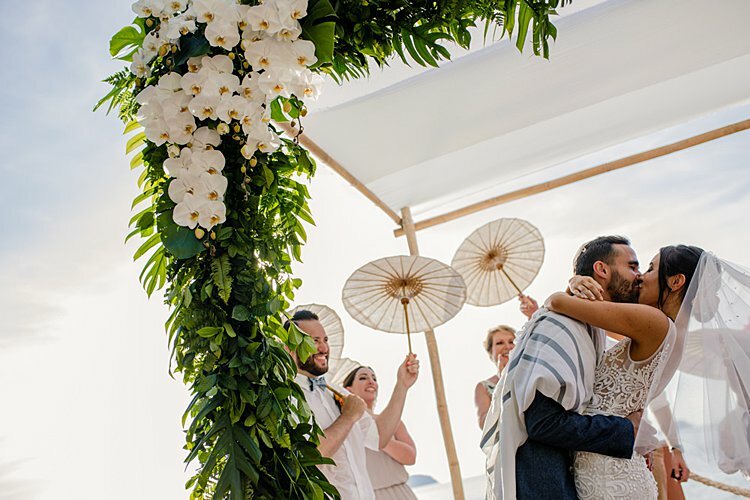 We’ve got just the thing to get you in the mood for Spring… a stunner of a Jewish wedding right on the beach in gorgeous Koh Samui, Thailand! 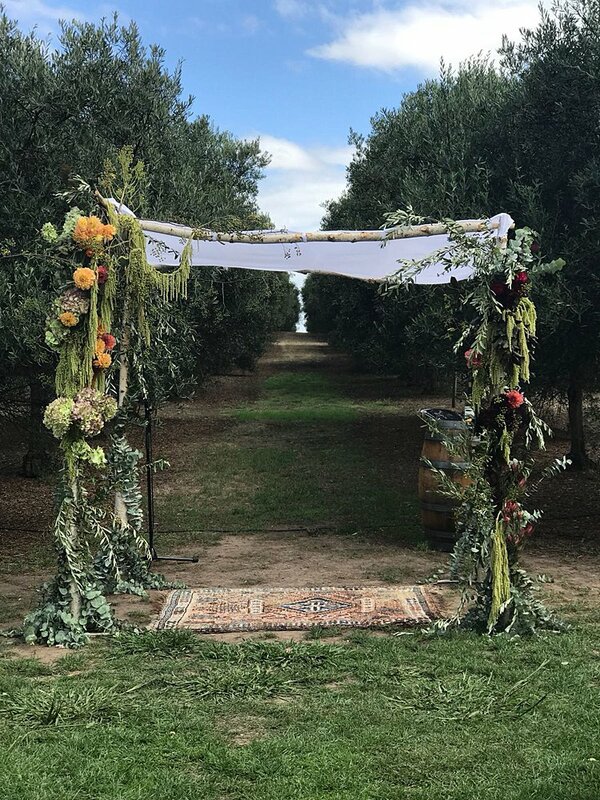 Kamina, a marketing specialist and yoga teacher, and Warren, a management consultant, planned the perfect laid-back boho day, and they went all out on the tropical paradise vibes — we’re talking an orchid chuppah, bright tropical flowers everywhere (even in the bride’s hair, natch! ), and an all-day outdoor celebration right on the beach. Transport yourself via Julian Abram Wainwright’s exquisitely styled photography and Shoot Me Now Films’ wonderful video. 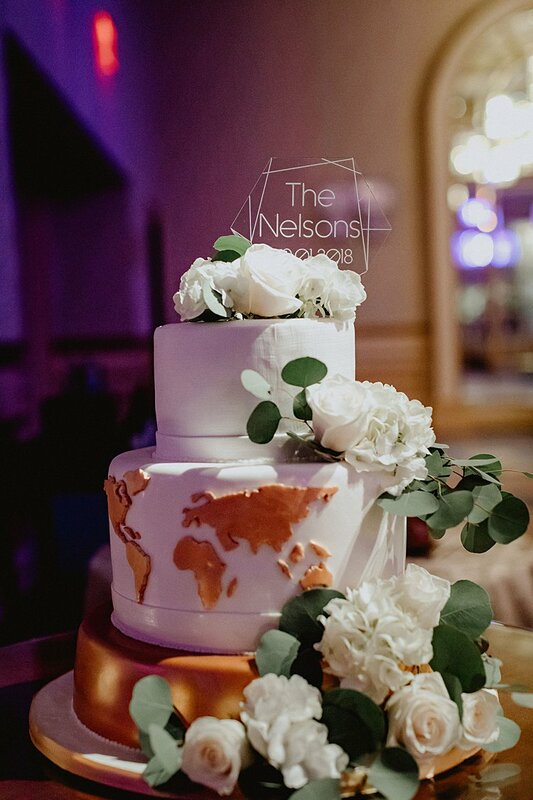 These two also had some of the coolest wedding desserts we’ve seen, ever. For starters, they rented out a traditional Thai banana pancake cart — um, yes please! And Kamina’s 9-year-old cousin, who happens to be a little baking prodigy, made the couple a gorgeous coconut wedding cake (with just a bit of help from the grown-ups) — wow! 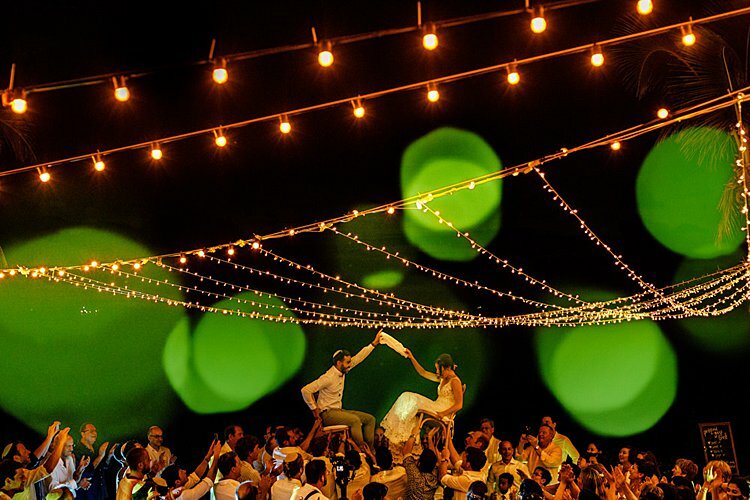 Kamina, the bride: We decided to get married in Koh Samui, Thailand at the Conrad Hotel. Samui is a special island for us – it was my late father’s favourite place. My parents own a villa resort on the island, which is where they renewed their vows on their 25th wedding anniversary, and also where we held an intimate funeral ceremony for him. 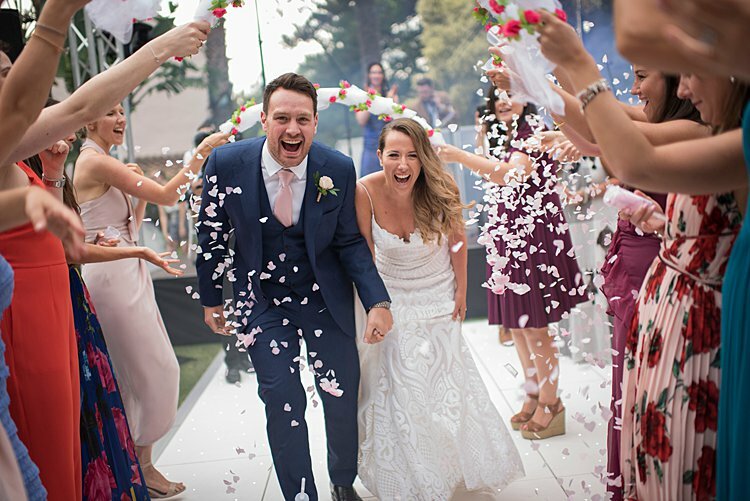 The Conrad Hotel is part of the Hilton group, which is where my father worked most of his life, so that was really special as well to keep the venue in the Hilton family – that would have meant a lot to him. 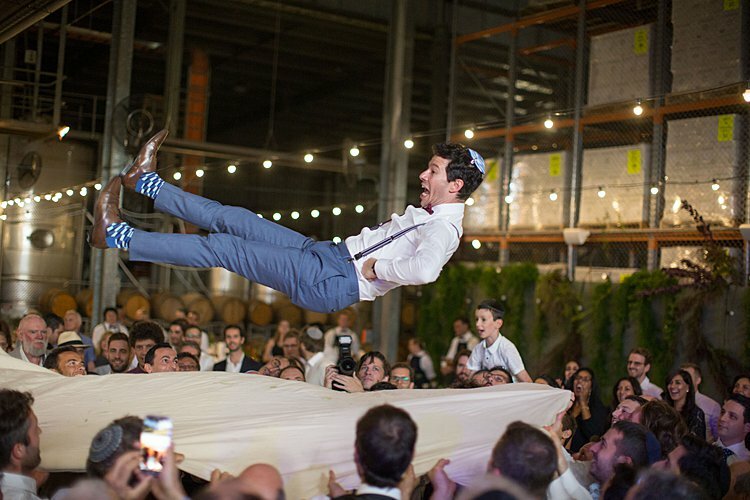 We’ve got something really special to share with you today: the gorgeous Jewish wedding of Dan to Ruthie, who is the marketing manager at Smashing The Glass Recommended Venue Kimpton Fitzroy London (where we’re currently running an amazing competition to win a luxe romantic stay for two — do check it out if you haven’t yet entered!). 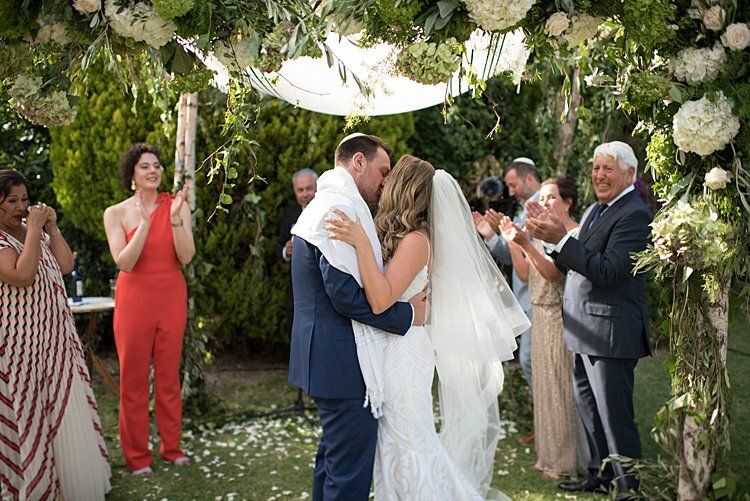 Ruthie’s Australian, Dan’s Scottish, they live in London, met in Tel Aviv, and got married in sunny Spain (the closest they could come to matching that glorious Aussie sunshine without making their guests fly to the other side of the world) — how’s that for an international wedding?! 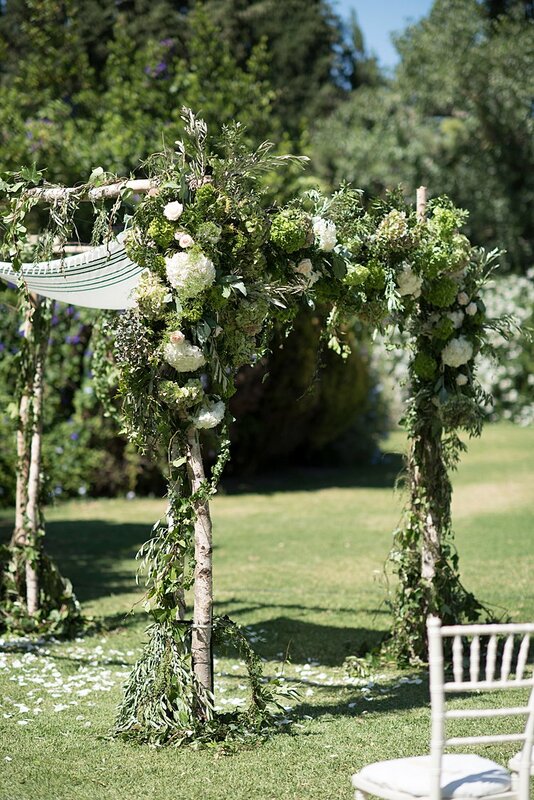 …From the eucalyptus chuppah (in honor of Ruthie’s Australian background!) 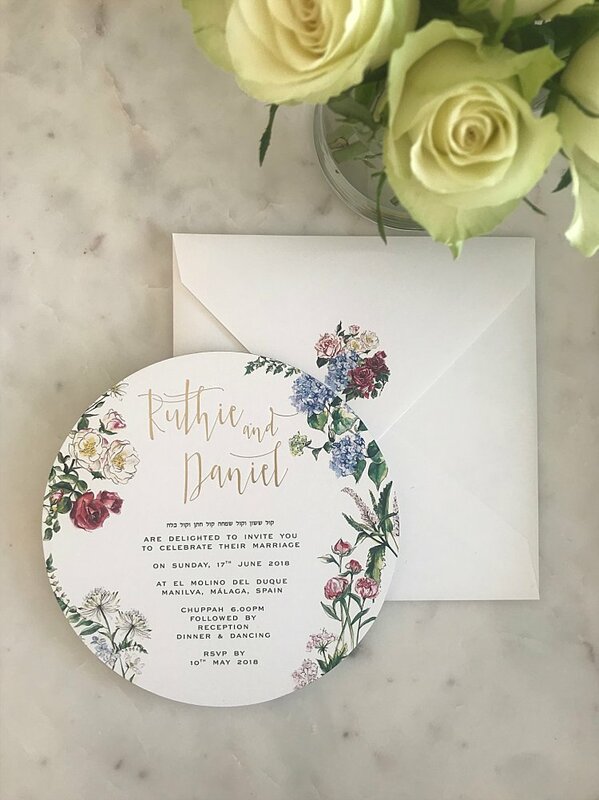 to the stunning invitations from STG Recommended Vendor Bigday Designs, with intricately adorned with flowers of the exact same types and shades as the ones in the gardens at the venue! 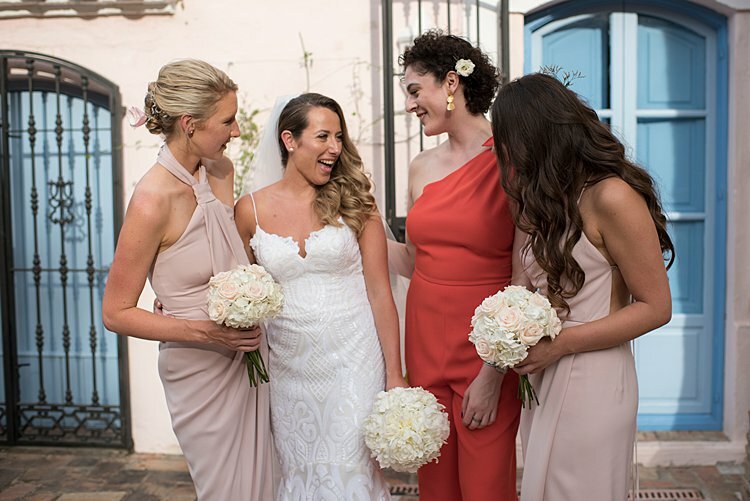 Photographer Mireia Cordomi and videographer Antonio De Perez captured all the emotion and fun of the day so wonderfully — not to mention the lush setting, exquisite details, and that coveted Spanish sunlight. 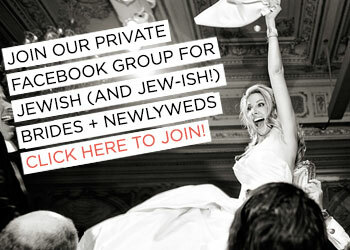 Ruthie, the bride: Daniel and I met when I was living in Tel Aviv and he was there on holiday. We were introduced by two mutual friends who both quite literally sat on me until I agreed to go and meet him. We had our second date in Paris and then our third date in London. The rest is history! 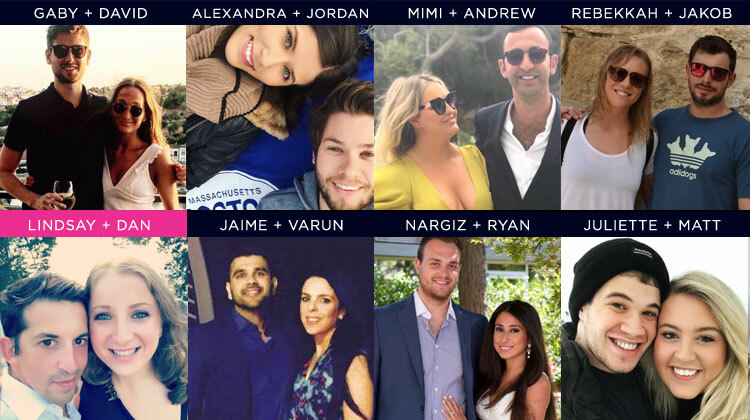 Lindsay, a member of Smashing The Glass’ Brides Club, will be marrying Dan on 25th August 2019 at Kochav Hayam in Caesarea, Israel. Click here to read all Lindsay’s planning posts to date. 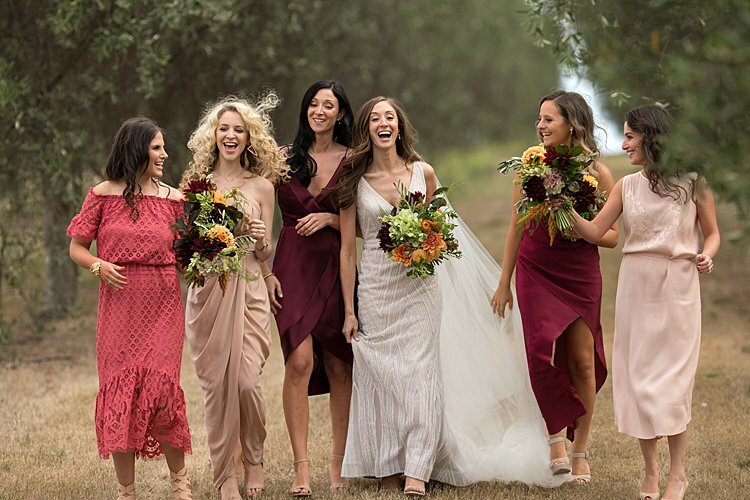 THREE FACTS: (1) Lindsay and Dan were set up by Lindsay’s cousin! 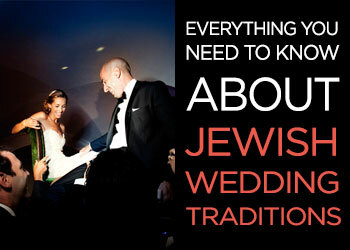 (2) They are planning an English-style destination wedding with a few modern twists in Caesarea, Israel. 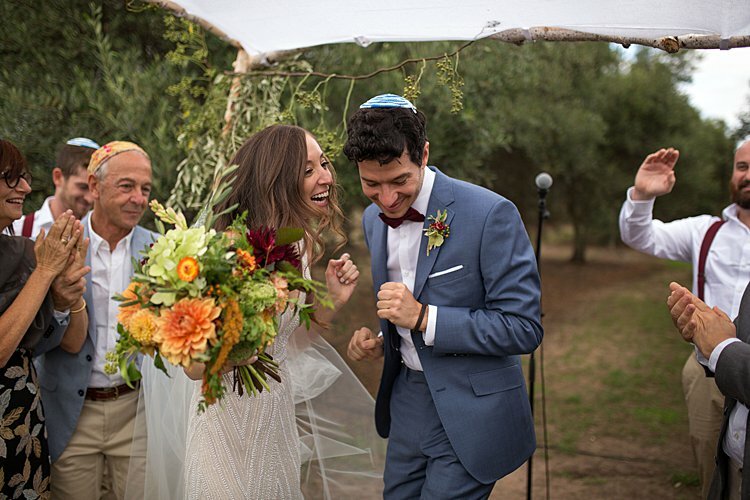 (3) Even though they are both Jewish, Lindsay is more interested in the religious element of the day than Dan, so they are working to balance tradition with their personal style – our favorite! The moment had finally arrived. The one I had been waiting for. 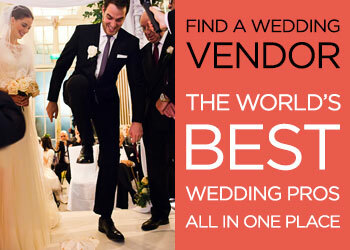 Basically the main reason why I said yes – dress shopping! I could finally see all my Pinterest boards and pictures ripped out of magazines come to life. In total, I went to five different dress shops. I had been told by many people not to visit too many, otherwise the choice is too overwhelming – which is absolutely true! After trying on what felt like 17,000 dresses in a hundred different shops, I finally found the one at Angelica Bridal in Islington. 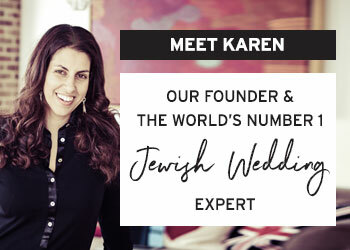 Yes, the choice is overwhelming but I also absolutely loved the experience and really do wish I could just keep trying wedding dresses on forever – who doesn’t love sashaying round like a princess?! 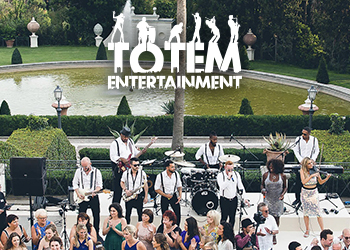 This is one seriously glam wedding. 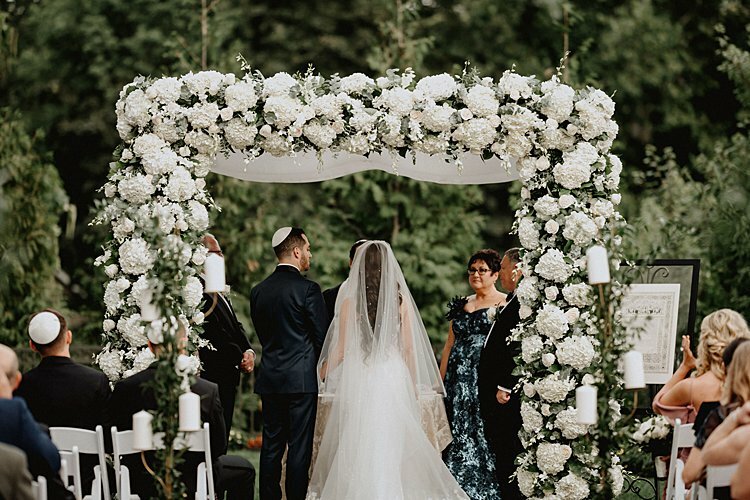 Between the luxe setting and that chuppah — an absolute vision in white roses and hydrangeas – we’re seriously sold on this couple’s Jewish luxe wedding style, so beautifully captured by photographer Pat Robinson and videographer Live Picture Studios. 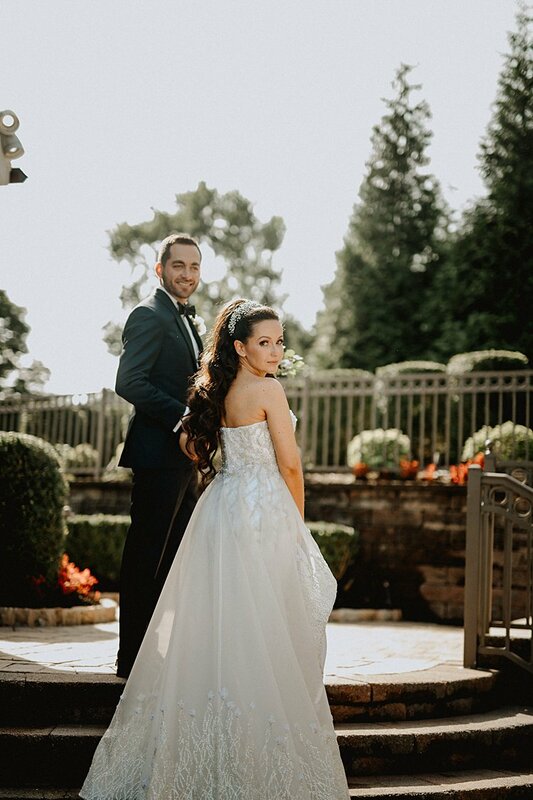 With such grand surroundings, it would have been easy for Sofia, an anesthesiologist, and Mitch, an internal medicine physician, to leave it at that — but they went the extra mile with so many fun details like a cigar roller, fun coaster place cards that guests took home as favors, and, best of all, wedding programs that doubled as confetti envelopes for the couple’s grand exit! 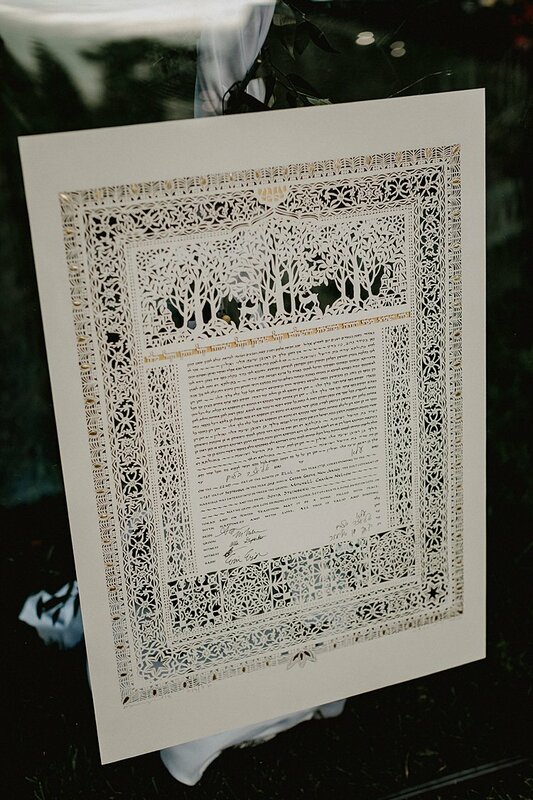 The front listed the standard names and order of service, and the back had some helpful info about Jewish traditions to make sure everyone could follow along, and the semi-translucent envelopes were stuffed with bright, colorful confetti — such a fun and unexpected touch! Sofia and Mitch had a super fun dance party, too, thanks to their reception band, Brooklyn Sound from Smashing The Glass Recommended Vendor Hank Lane. 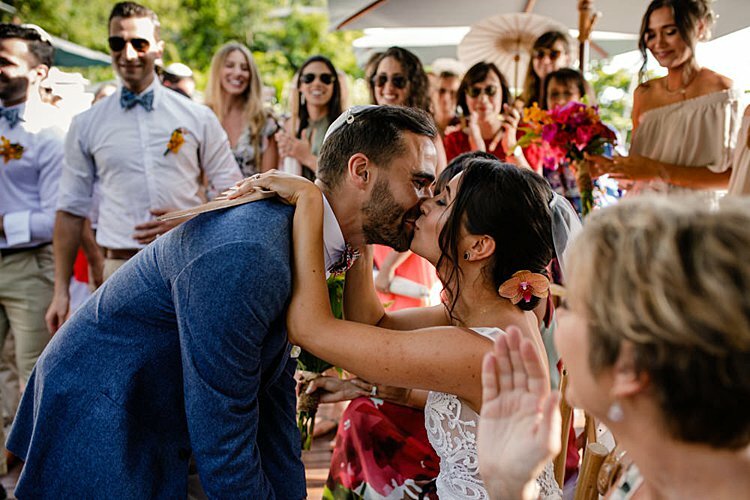 For their first dance, the band played an acoustic version of Rihanna’s We Found Love, the couple’s song because they “we found love in a hopeless place”: the ICU, where they met during training. 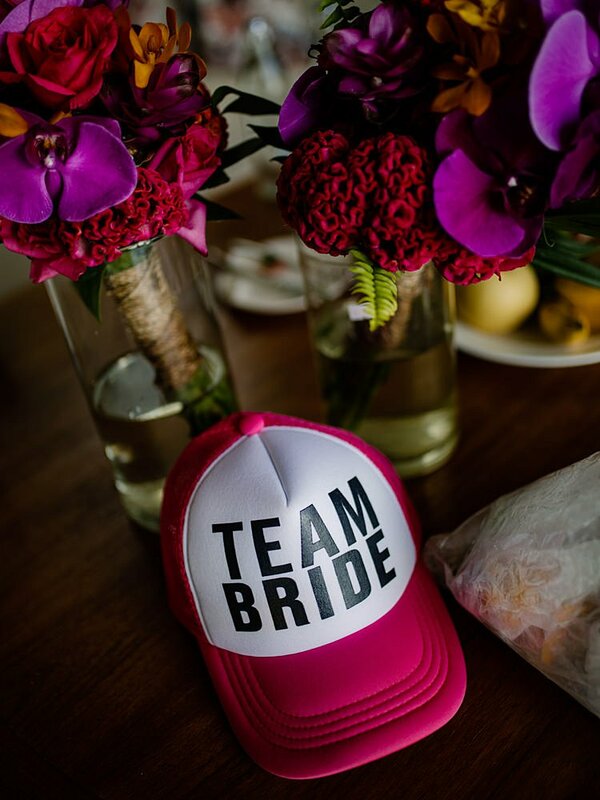 Sofia, the bride: We met in training while working in the intensive care unit together.